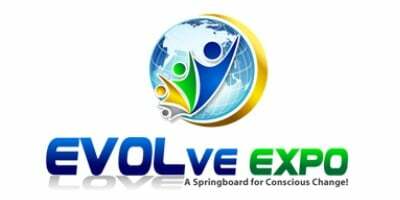 Green Cleaning Products is proud to sponsor the Evolve Expo, a conscious community convergence, in Denver Boulder, Colorado on 11-11-11 and November 12th. Aware authors, speakers, and sustainable businesses such as Green Cleaning Products will share their knowledge and products (e.g., green janitorial supplies and natural green home cleaning solutions) with you. Why attend? The world is changing at such a rapid pace, many of the old systems and relationships are crumbling and no longer sustainable … people are out of work in record numbers, financial systems are on the brink of disaster and the nature of relationships have evolved to the point where people are preferring to be alone or single rather than being with someone that is neither loving, caring nor living from their heart. Do not allow yourself to be one of them. Join the folks who are seeking sustainable solutions, a greater experience of themselves, those who want to live an inspired and empowered life, and to make a difference in our world. Enjoy this two full day event featuring powerful speakers, wonderful musicians and dancers, internationally renowned authors, as well as amazing green and sustainable exhibitors all carefully selected to support your advancement. Choosing your behaviors (such as seeking sustainable options) fosters love and trust, as well as creating authentic power in your life. The love we seek is right here, right now. A simple shift of awareness and choices (such as committing to natural green home cleaning) and the floodgates open once you decide to change yourself, not others. Life mastery through spiritual growth becomes the cornerstone of your life. Through the choices that you make (such as selecting green janitorial supplies for your business), you can put in place the building blocks to your extraordinary, sustainable life. Unlike any other event, this features aware businesses with a track dedicated to sustainable oriented business owners. This is about business enterprises that seek to be aware of the effects of its actions, and to consciously affect human beings and the environment in a beneficial way, as one does by specifying green janitorial supplies in their purchasing decisions. Sustainable business refers to the movement towards values-based economic value, where values represent social and environmental concerns globally as well as locally. Time and time again sustainable businesses have demonstrated that it is not only possible, but also a profitable strategy. At Evolve Expo, businesses, speakers, authors, healers and artists that ARE living from the heart, and can provide you with sustainable solutions have been carefully selected for you. In addition to the including internationally acclaimed keynote speakers, Marci Schimoff and Don Miquel Ruiz, there is an abundant line up of powerful speakers and teachers! I am especially proud to announce industry leader, J. Graham Russell, founder of Trupoint Advisors, a company providing Strategic Focus Through Sustainability, will serve as the keynote speaker for the sustainable business solutions track for your business, as he has done for Green Cleaning Products. This hands-on event is designed for you have a great experience of yourself, today and days to come! Experience and integrate consciousness and sustainable actions into every part of your life. Learn more about your sponsor, Green Cleaning Products, and order your natural green home cleaning products and your green janitorial supplies.